Will Elizabeth II still be Queen of Scots if the 'Yes' vote triumphs? Separatists say it will be up to the people to decide but there are questions about how secure the monarchy would be after independence. SCOTTISH SEPARATISTS SAY they will keep Queen Elizabeth II if the country votes on Thursday to leave the United Kingdom, but some question how secure the monarchy would be post-independence. Members of First Minister Alex Salmond’s separatist Scottish National Party (SNP) government have said that if independence wins it should be up to the people to decide whether to keep the queen. The independence campaign’s chairman Dennis Canavan has even called for an early referendum on dumping the royals, calling hereditary monarchy an “affront to democracy and a complete anachronism”. The queen’s 15 realms outside Britain – Australia, Canada and New Zealand included – have a viceroy and some experts suggest Scotland would likewise need a governor-general for permanent in-country representation and to avoid the queen directly receiving conflicting advice from her governments. Queen Elizabeth was reported to tell a well-wisher on Sunday “I hope people will think very carefully about the future” after attending a church service near her Balmoral estate in Scotland. Some newspapers suggest the 88-year-old monarch is “horrified” at the prospect of her kingdom breaking in two. Buckingham Palace has only spoken officially to stress her constitutional impartiality and view that it is a matter for the people of Scotland. England and Scotland have shared the same monarch since 1603 – the Union of the Crowns in one person. But the 1707 Acts of Union formed one new, united state, Great Britain, and it is this political union that the separatists seek to unpick – meaning that the “United Kingdom” would remain. “On independence, Scotland will be a constitutional monarchy, continuing the Union of the Crowns,” says the Scottish government’s prospectus for independence. “The position of Her Majesty the Queen as head of state will form an intrinsic part of the constitutional platform. But the left-of-centre New Statesman magazine has accused SNP chief Salmond of “counterfeit monarchism”. “Although it has never officially been a republican organisation, there has always been a strong thread of anti-royalist sentiment running through its rank and file,” it has said. Besides her constitutional ties, Queen Elizabeth’s links to Scotland are personal. The queen’s mother was from a Scottish noble family. Currently the queen spends one week at the end of June at her official state residence in Scotland, the Palace of Holyroodhouse in Edinburgh, and her summer break in August and September at Balmoral, her personal estate in the Highlands. Bob Morris, from the Constitution Unit of University College London, said she would need to name a governor-general for Scotland if “Yes” wins. “If there is a direct relationship, she would be in danger of being given contradictory advice by the Scottish government on the one hand and the UK government on the other,” he told AFP. Having a governor-general “gives a buffer, and it gives a permanent representation in the realm concerned,” he said. An independent Scotland could run into opposition in the Commonwealth as the SNP would push to remove, on “religious discrimination” grounds, the requirement for the sovereign to be an Anglican. Commonwealth realm prime ministers agreed in 2011 not to change this arrangement — the monarch being the supreme governor of England’s state church. Questions also remain over quite how a Scottish monarchy would be funded. The separatist manifesto says Scotland will contribute to the monarchy’s expenses “as we already do through taxes”, but does not mention the Crown Estate at all. The estate is a vast land and property portfolio owned by the sovereign. Dating from a 1760 arrangement, the government funds the monarchy and all its functions in return for its profits. The amount Queen Elizabeth receives is currently set at 15 percent of the profits – £40 million (€50 million) in the next financial year. The total value of the Crown Estate in Scotland is £267 million, or three percent of the UK total. In 2011, the SNP government wanted control over income from the Crown Estate in Scotland, but the British government refused. Asked about the Crown Estate post-independence, a Yes Scotland campaign spokesman told AFP: “No idea. 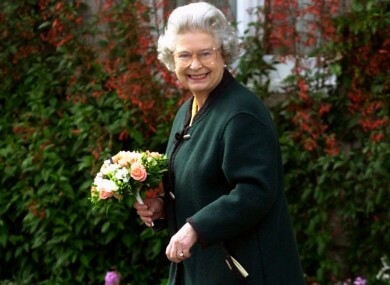 Email “Will Elizabeth II still be Queen of Scots if the 'Yes' vote triumphs? ”. Feedback on “Will Elizabeth II still be Queen of Scots if the 'Yes' vote triumphs? ”.